Skye Gravestones | John Norman Macleod. 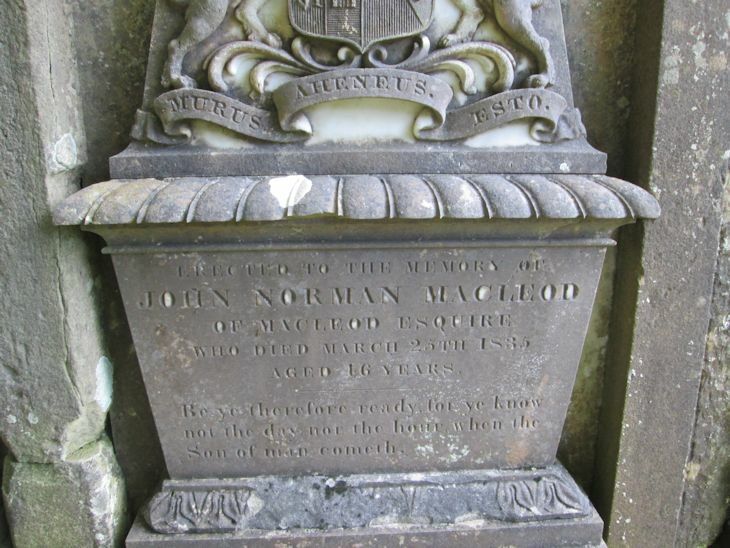 Erected to the memory of/JOHN NORMAN MACLEOD/of MACLEOD Esquire/who died March 25th 1835/aged 46 years. Be ye therefore ready for ye know/not the day nor the hour when the/son of man cometh.